The Broads is a beautiful place heaving with exceptional wildlife and spectacular views. The expansive waterways and broads are best explored close up and intimately. The easiest way to do this is by canoe- you can access those nooks and crannies of an otherwise inaccessible area and see those hidden corners that are out of view from the view of passing pedestrians and motor boaters. The calm waters are suitable for all ages and levels of canoeing, from enthusiasts to first timers everyone can have a go! Whether it’s for a good work out, a family picnic, a pub lunch trek, a wildlife exploration, a romantic evening paddle, or a combination of the above, the Broads is the place to come canoeing. 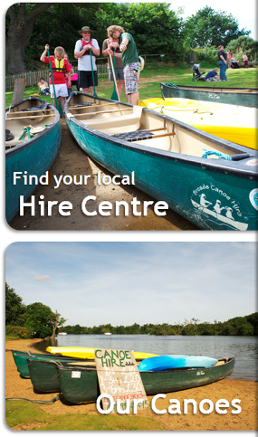 Check out our hire centres to see which one suits you, or our contact us section to find your local centre. Each centre offers something a little bit different- perhaps try them all!